[그웬의 레벨업 토익스피킹]-당신은 언제 가족들과 시간을 보내나요? 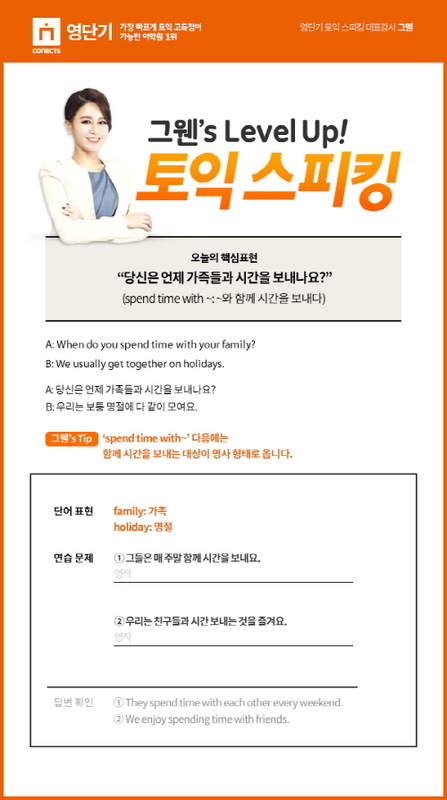 A: When do you spend time with your family? 당신은 언제 가족들과 시간을 보내나요? B: We usually get together on holidays. 우리는 보통 명절에 다 같이 모여요.